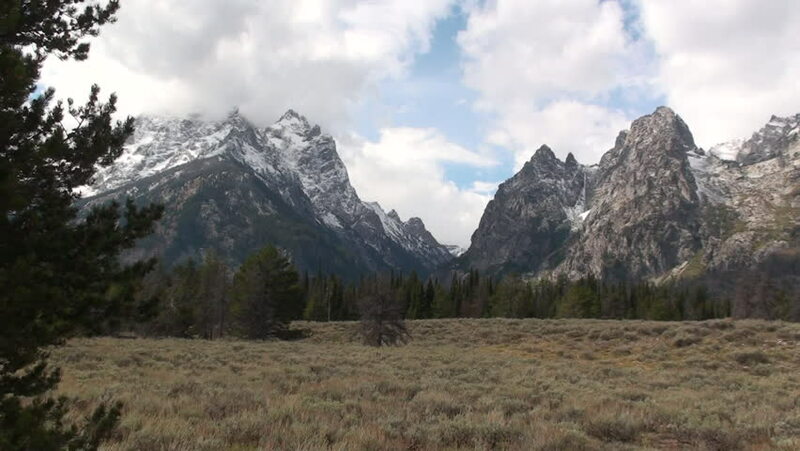 4k00:15Grand Teton Mountains in Grand Teton National Park in Wyoming with wild flowers in real time. hd00:57The group of kids is hiking on the trail, beautiful mounteins against the blue sky. Super slow motion shot, Long shot, Establishing Shot in Montenegro, mountains. Contains child/girl 8-9, 10-12 years.